The Australian Broadcasting Corporation & Screen Australia present in association with Film Victoria, An Every Cloud Production. 2017. Executive Producers: Fiona Eagger & Deb Cox. Original Soundtrack and Score: Greg J Walker. 2CD (ST)	ABC. 5752502. 2017. 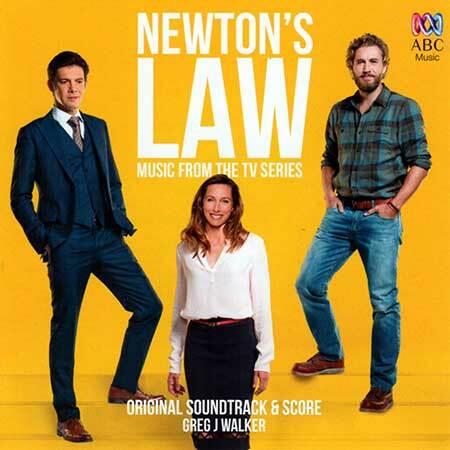 "NEWTON'S LAW MUSIC FROM THE TV SERIES". A Girl Like You. Rick Sands. Rock It. Abi Boucher & Emma Ward. Nobody but You. Maddy Wilson. How Bizarre. Greg J Walker. Walkin’ On the Sun. Rick Sands. A Place in the Sun. Clare Bowditch.